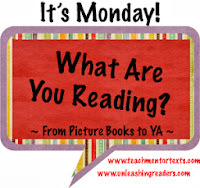 I have read SO MANY great books this week! I'm wrapping up my reading to create my Mock Newbery list. 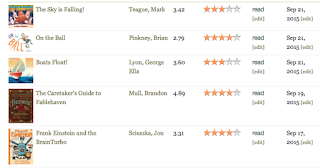 I have three more books that I think will be on it, and they are first in line to read this week. Once the list is completely finalized, I will share it here as well. Until then, check out the books below. AMAZING! Seriously, great books here. Harriet the Invincible and Lost in NYC could be used with 3rd and 4th grade. The rest are solid fifth or higher. I love that each book this week was simply amazing in its own way. You can't go wrong with any of the books on this list this week. Five years ago I changed my teaching forever. I was in my second year of teaching only language arts, but that wasn't it. Five years ago I had a tough class. I loved them, of course, as you do every class you teach. This class, though, needed lessons I had taught explicitly before. 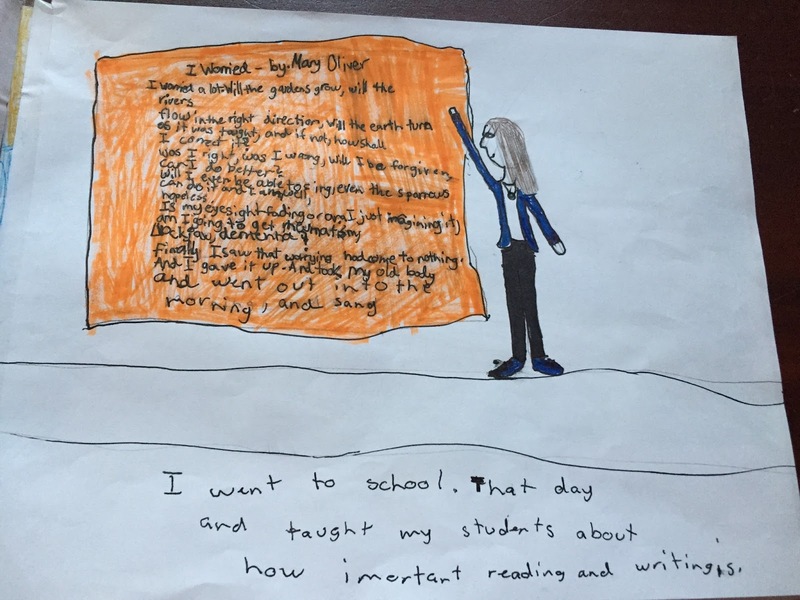 They needed more than lessons on how to fall in love with books or how to share your writing. They needed lessons on becoming better people. I have always argued that the books I have read have made me a better person. I think I am more empathetic, more caring, more aware of the world around me. Five years ago I began sharing that with my students. Explicitly teaching them character lessons through shared texts, YouTube videos, articles, and more. I pushed them to really think about their actions. We reflected on what makes us who we are. I discussed how the coolest thing about each of us is that we get to decide how we want to be seen through our actions and our words. Each year I seem to dive into this work deeper. I am now convinced that the greatest gift I can give my students is self-awareness. I can help them become the best version of their selves that they can be. Of course we do this through reading and writing, so curriculum is still taught, but nothing is as important to me as being a good person. If we all did that, the world could be a better place. My oldest son had a football game this weekend. Football at the middle school level is interesting. Some boys have already grown, others are still similar to when I had them two or three years ago. However, their smiles are still the ones I know. I love watching them. Yesterday's game was tough. The team we played was skilled. There were some ugly penalties, but that happens. Their coach was a bit over exuberant, but that happens. What I didn't expect to happen was for one of our players to be called names based on the color of his skin. Apparently it went on all game, but at the end of the game was when I became aware of it. First, by a rude comment someone from their side of the field called out. Then, by our player's ejection from the game. It seems he had had enough and pushed the other player who had been saying these words to him for the entire game. Going to that side of the field, I was met with shocked parents who had heard it going on the entire game. One of the refs heard it too and finally ejected the other child from the game as well. The game was over by that point. Our boys came to the sideline and I saw tears streaming down their faces. They walked through the line to shake hands, including the boy who had been dealing with racial slurs the entire game. Watching our boys in the post-game huddle was hard. Tears were flowing freely. Two of my current students came up to talk to me about it. One looked at me and said, "That player on their team must not have a teacher who tells them to pay attention to their moral compass." I smiled. Our players came off the field. I hugged a few, consoled my son who was shook up by the entire experience. I said a few words to my former student who had just experienced hatred when he should have had a great day playing football. Yesterday reminded me that what I am doing is important. Children are clay, waiting to be molded. We can help them be the best versions of themselves that they can be, or the worst. As teachers, we didn't go into this job thinking our responsibility was anything but the written curriculum, however I would argue it is this hidden curriculum that matters the most. We can make an impact on a child's life that last a lifetime. I was beyond proud of my current and former students last night. Their character shone bright. It will be a lesson I will share with my class on Monday. It is the most important lesson I can teach. I love reading Peter Reynolds' amazing book, The Dot, and helping my students make their mark. Jessica's idea was brilliant. We hung our sentences in the hallway to be reminded of them for the start of the year. 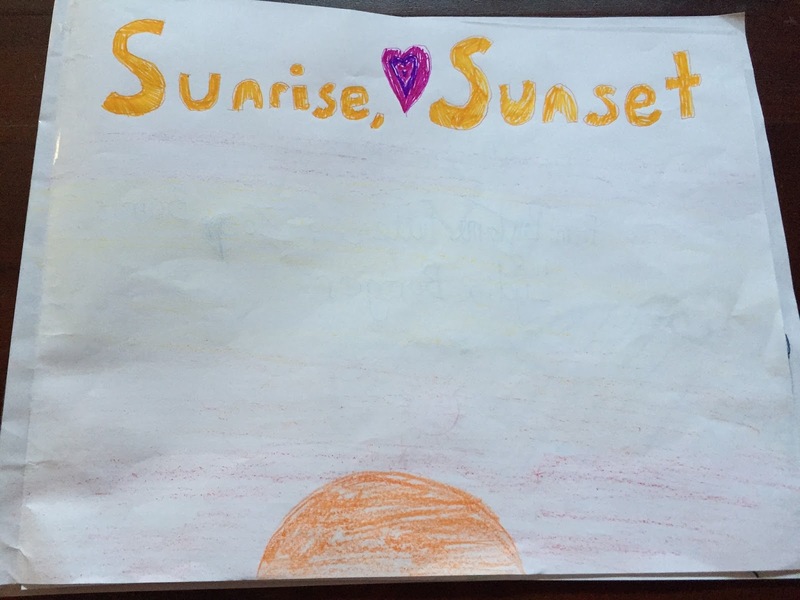 Three of my students created this book for me and about me. To say I was honored is an understatement. Our PTO fundraiser and one of my favorite days of the year. All in all, while the start of the year is a bit insane, I wouldn't want to be anywhere else. There is a book that lives in my heart, that makes me tear up when I hear it mentioned. You might know it too, and if you don't, remedy immediately. That book is Katherine Applegate's wonderful The One and Only Ivan. I think I became a different person, a better person, when I read that book. With that knowledge, I was a bit apprehensive about reading Applegate's newest book, Crenshaw. Would I compare it to Ivan the entire time I was reading it? Would I still love it? I shouldn't have worried. Crenshaw is a completely different book than Ivan, yet it had a similar impact. Here is the story of Jackson. A child who feels more at home with facts and non-fiction than surrounded by story. Much to Jackson's dismay, he had an imaginary friend when he was in first grade, a skateboard riding cat named Crenshaw. This frustrated Jackson because he likes things that can be explained, and Crenshaw cannot. Jackson has not seen Crenshaw for several years, but now he is back and larger than ever. Jackson would love nothing more than for Crenshaw to disappear, for his parents to stop fighting, and for his family to have enough money so that he and his little sister can stop being hungry. This isn't the time for silly things like cats that no one else can see, or is it? I fell hard for Jackson and Crenshaw. 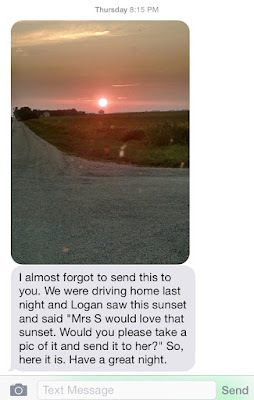 I have had too many students who would identify with the hard times Jackson and his family are going through. I know that there would be some comfort in just reading that there are others out there, like them. What I loved most of all was the heart that was at the center of this book.This book inspires you to want to do more, to help more. Applegate, her publisher, and many bookstores have felt that and have organized food drives to go along with the release of Crenshaw. If you want to learn more, read about that effort HERE. And MacMillan is being kind enough to give away one copy of Crenshaw to one of my readers. Please enter below for your chance to win this amazing book. 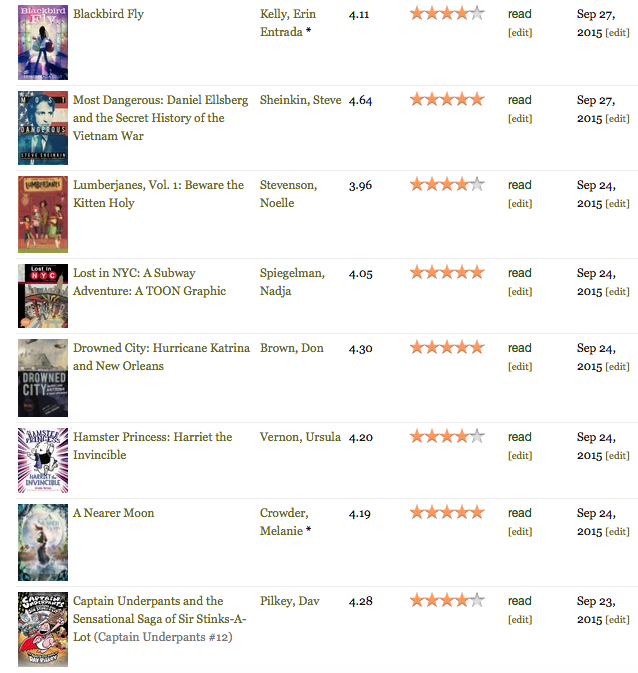 I had a lot of fun with reading this week. I had time to read the books below plus six for my state award committee I'm reading for, but can (obviously) not share those titles. :) What I have noticed, and want to share with my students, is that the more I read, the more I relaxed, the more I wanted to read. Fascinating. I'm hoping to get to some professional books this week. I've had several I want to read for some time. Have a great week! I believe strongly that books have the possibilities to be windows and mirrors for my students. By reading books, we see through the windows into other lives. We can develop empathy because we experience hardship as our characters. The scenes that vividly come when I recall them are the books that I have sobbed over. Through books I have experienced heartache that I have never had to know in my own life, but understand a bit more through the safety of pages that I turn. These stories have made me a better person because of all of the characters I have encountered. Books can also be mirrors. Through the pages of a book, you can see you are not alone, not the only one going through something hard. This is critical to me. I clearly remember childhood, and mine was a happy one. But when something tough would happen to me, I’m not the kind of kid who would want to talk about it. I pull everything inward. I would stew on topics for the longest time, beating myself up inside, thinking I was the only one dealing with it. Sometimes a book would find me and show that I wasn’t alone. More often, however, I was left with my thoughts. For this reason alone, I want students to find themselves in books. This is why I wish Alex Gino’s George was in every classroom. George was written for 8-12 year old kids, but I would place my bets that it won’t be in all of those classrooms. See George was born a boy, but knows that she is a girl. 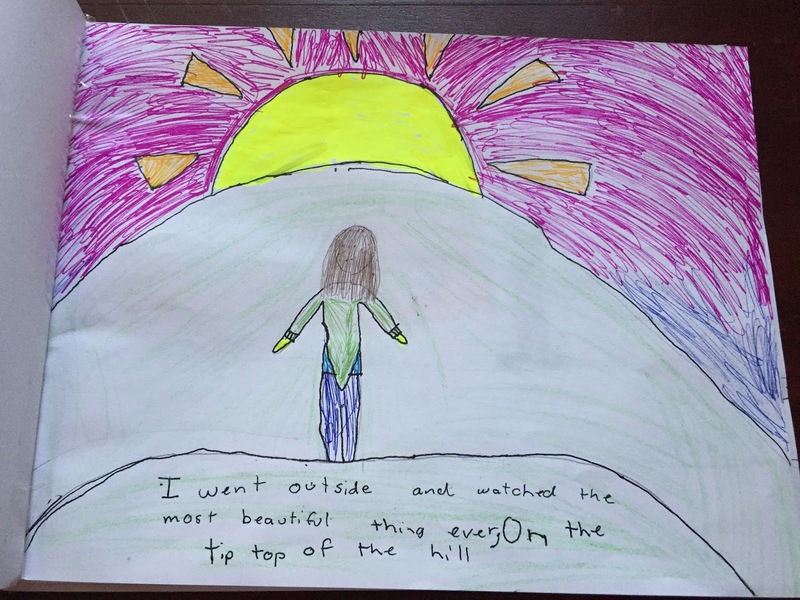 Writing about sexual identity for this age group would be tough, yet Gino does it well. I’ve talked to teachers who have told me that they don’t want to deal with this topic. That no student in their class needs to read about a child dealing with the concept of sexual identity. I would like to argue that we all need to read this book. 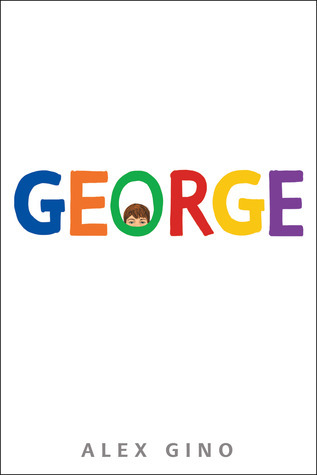 Whether George is a window to let students look into the world of a child dealing with sexual identity, or a mirror into their own struggle, it’s an important book. As a teacher, I care about my students. I want them to be successful. And the percentage of transgender teens that attempt suicide is staggering. (40-50%, in case you are curious.) We need more books like George. So yes, mirrors are important. But something I have been talking to my friends about lately also runs in the opposite direction. There are times we need mirrors, and I think all books can be windows, but sometimes we need to escape. Some of my students this year have had hard lives. Poverty, divorce, foster homes, illness, and loss of a parent are just some of the things these ten year olds are dealing with. It is too much. Knowing him, knowing his story, my own eyes welled up. He does need to laugh. 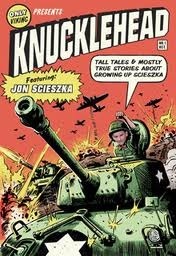 I steered him over to the memoirs and pulled out Jon Scieszka’s Knucklehead. Slipping my arm around his shoulder I said, “How do you feel about books that devote a whole chapter to the concept of a sword fight when multiple brothers are peeing.” He began to grin and grabbed the book from me, heading to check it out. Life is hard. I wish I could make my students’ lives easier, but I cannot. There are times that I break down when I get home, thinking of everything that my students are going through, and wondering how I can possibly help. 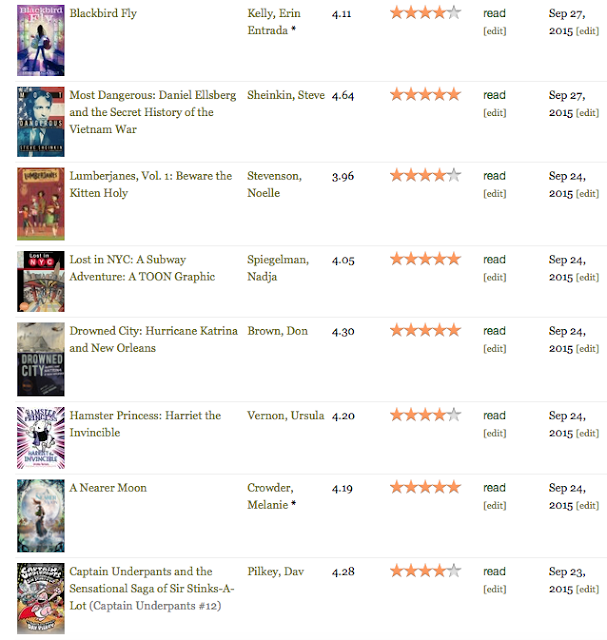 I can’t fix much, but I can buy them books. I can talk about the books and try to match the right one to the right reader. I can have a varied library so they can find those books that can teach them empathy, let them understand what their friends are going through, or let them see themselves. Let them understand that they are not alone. But I also want the books that allow them to laugh. Allow them to escape their ever day life and just have fun. Books can do that too. Do you have any favorite escape books? Ones that are silly, fun, or make you laugh out loud? If so, please share. This is a year I am going to need as many of those as possible. Thanks! Just five years ago, I wasn't a writer. Sure, I'd write a narrative if I asked my students to write one, but that was it. I didn't identify as a writer. I certainly didn't write - journaling or otherwise - on a regular basis. I didn't see the issue with that either. And then, I thought about it. I was a good reading teacher because I was a reader, because I knew how to talk to kids when they were stuck, when they finished an amazing book, when they couldn't get into a book. So, I asked myself, how was I helping them as writers? I couldn't avoid it anymore. I began writing and thus this blog was born. 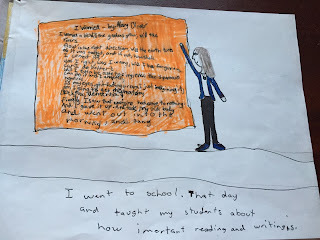 Writing in front of my students didn't come until midway through that first year of blogging. When I read Penny Kittle's book, Write Beside Them. It was powerful. They could see my writing. How it was imperfect, like their writing was. It gave them confidence to try themselves. It taught me a lot too. 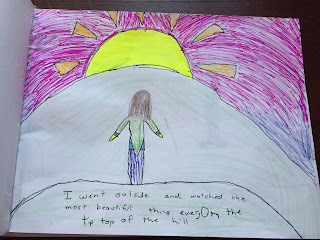 After watching it, we did a quick write about whatever the book and video inspired in us. I wrote about Wonder and what it means to "choose kind." Whoa. It was in writing during the first class, and the second, and the third, that I came to a realization about myself. I write in my journal under the document camera while the kids do as well. I starred my new thinking and when we finished, I shared what I learned with my first class. I am a kind person, but the quote from Wonder made me realize that I often choose right before kind in my mind. When I know I am "right" about something, I get irritated. I'm still outwardly kind, but inside I'm frustrated because I'm right - or at least I believe I am. I told that first class that I was just realizing the time I was wasting worrying about my rightness, for lack of a better term. Through the second class and third class I wrote more about it, sharing with my students. Their reactions were fascinating to me. Some of them came up to tell me that they still thought I was super kind. I thanked them. Some came up to tell me what they learned about themselves. We learned that we are all imperfect, including their teacher, and that's ok. We can work to be better. 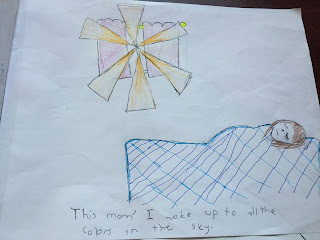 Writing in front of my students is hard. You are vulnerable. But I wouldn't give it up for anything. I learn something about myself each time I do it. 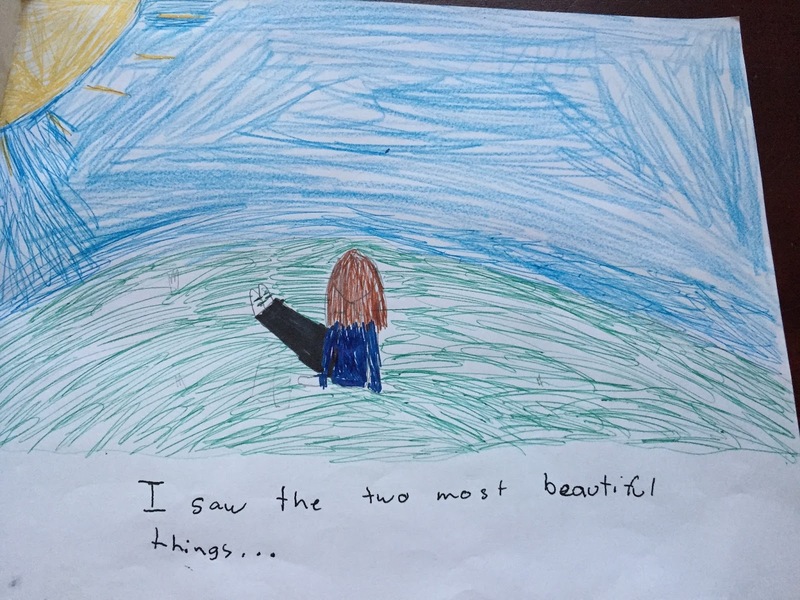 My students learn about me. And we continue to grow closer as our year unfolds. I highly recommend you try it today. Sigh. It's Monday already? The start of the year often makes me feel like a spinning top. I'm moving - quickly - but feel like I'm not getting anywhere. Looking at this blog, I didn't get any other posts written last week except the Monday one. I have two articles started for Choice Literacy, but never got back to them. So many things I want to do, yet it seems that I can never get caught up. Ugh. But, I know this will improve and I will begin to feel like myself again. I will find time to write. To read my professional books. I hope this week is the beginning of that happening. Time will tell. For this week, I still want to finish a professional book. First on my list is Terry Thompson's Construction Zone. I have some required reading to get done as well. Then, who knows? I'm going to add a goal of finishing my articles for Choice Literacy and having one blog post here too. :) Hold me to it! All were great, but I want to talk about a few specifically. HiLo and Awkward were two wonderful graphic novels. 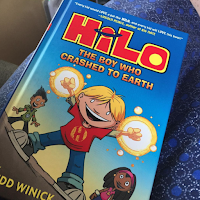 HiLo is about a boy who falls from space. He doesn't remember who he was or where he came from. With help from his new friend, DJ, he puts the pieces back together and figures out what he was born to do. This book is at once hilarious and moving. I absolutely loved it. Awkward tells the story of Peppi who is beginning a new school. She simply wants to fit in, to go unnoticed. But that is made difficult when she trips in the front hallway, spilling all of her books, and a boy tries to help. He is the target for some school bullies, and Peppi becomes one as a result. She is unkind to him to try and save face. Awkward follows Peppi's story at her new school, her new friends in the Art Club, and her journey to make it up to the boy who was kind to her on her first day. Nooks & Crannies is a brilliant novel. Tabitha has been mysteriously invited to stay at a Countess's house for the weekend, as have five other children. Her parents are unbelievably cruel people and decide to come along, hoping this means Tabitha will finally be worth something to them and get them some money. Tabitha has a great imagination and a love of detective stories - both traits will come in handy during this weekend at the mansion. I told my students this reminded me of the board game, Clue. With a death (or murder? ), disappearances, and ghosts, Tabitha races to solve the mystery. The Wolf Wilder is a beautiful story that took me by surprise. Feo and her mother live in the woods in Russia. Feo's mother, and Feo, turn domesticated wolves back into the wild animals they once were and release them back into the woods. A general is angry at them for this and captures Feo's mother. Feo and her wolves embark on a journey to save her. This was a beautiful story of bravery, friendship, and love. 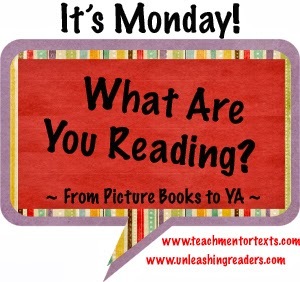 What fabulous books I got to read this week! 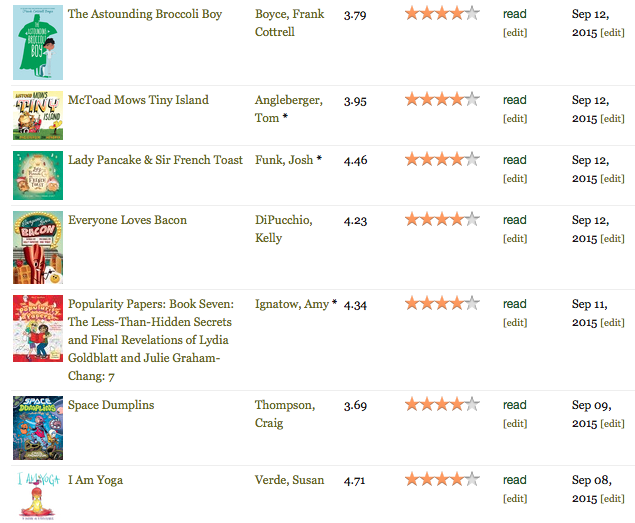 For next week I'm hoping to read one professional book and finish a novel I just started, The Astounding Broccoli Boy. Man alive, I need to celebrate. Thankfully Ruth Ayres organizes this weekly celebration over at her blog. (HERE) Yesterday was our thirteenth day of school. I feel like I have run a marathon. No, more than that. Maybe one of those ultra marathons. Yep. That's it. And the entire thing has been uphill. It isn't that the year hasn't been wonderful. This class rocks, I can already tell. I love them to pieces. I have so much working in my favor. It's my youngest son, Liam's, class. I've known so many of these kids since they were small. I've held several within days of them being born. In all honesty, out of the 68 students I am teaching this year, I knew 41 already. Either I've taught their siblings or they were friends of Liam. That's a heck of an advantage. That being said, the marathon. There is so much you have to do the first thirteen days in language arts. I needed to confer quickly with anyone in language arts intervention last year and see if I felt they needed some extra help immediately. I needed to get my Fountas & Pinnell tests done. I needed to give the benchmark tests for reading and writing. It is exhausting. Oh, and the heat index approached 100 on Wednesday, was over 100 on Thursday and Friday. My room is not air conditioned and felt like an oven. Thankfully, we did get out an hour early, but wowza. What a week. This class is devouring graphic novels like nothing I have ever seen before. 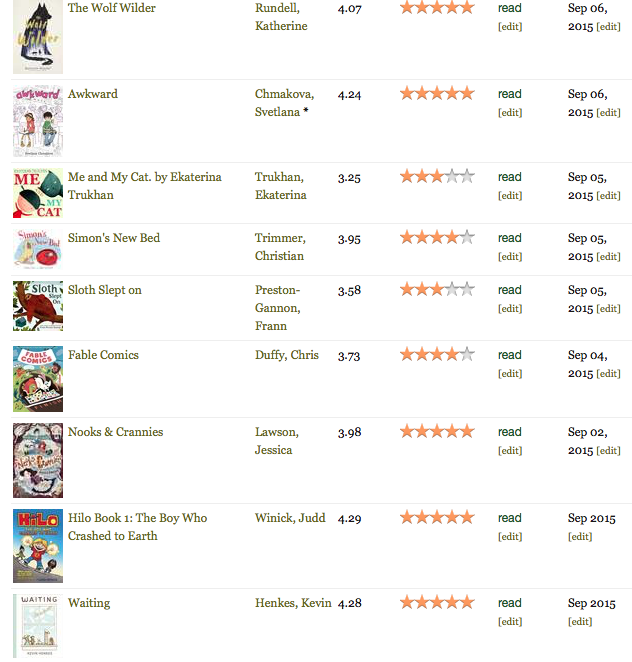 Many of them didn't know Babymouse or Lunch Lady until I book talked them the first week. One sweet little girl asked if she was allowed to read them since they were clearly below her reading level. I asked if she enjoyed them, she smiled and said yes. I told her that reading was meant to be enjoyed. If she planned on reading them as her only books all year, I would need to help her find something to supplement her reading diet. But read the series. Reread a favorite. Just read. Speaking of graphic novels, I read a new one this week - HiLo The Boy Who Crashed to Earth by Judd Winick. It was at my house on Tuesday, I had preordered it. I read it and laughed. So amazing. Bringing it to school on Wednesday, the waiting list became longer with every book talk. 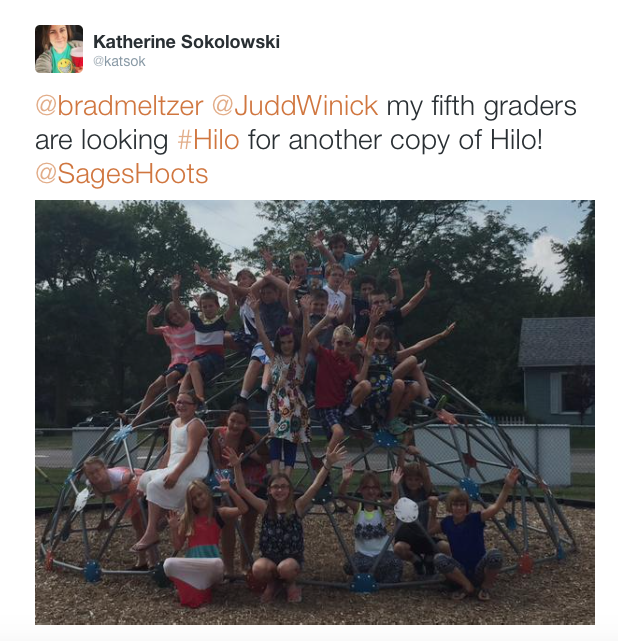 Then I saw that you could enter a contest using #HiLo in a tweet for a free book and some art work. 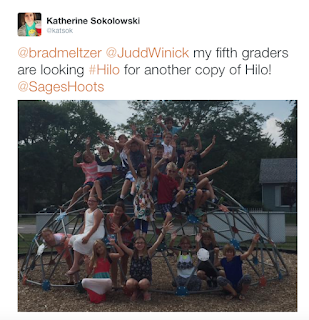 My students quickly thought of an idea, we took a photo, sent the tweet, and were one of the winners! The kids were pumped and even bigger fans of Twitter than they were before. One of my favorite things about the start of the year is watching students soak everything up. It's all new to them. All of your stories, procedures, tech pieces you use are brand new. 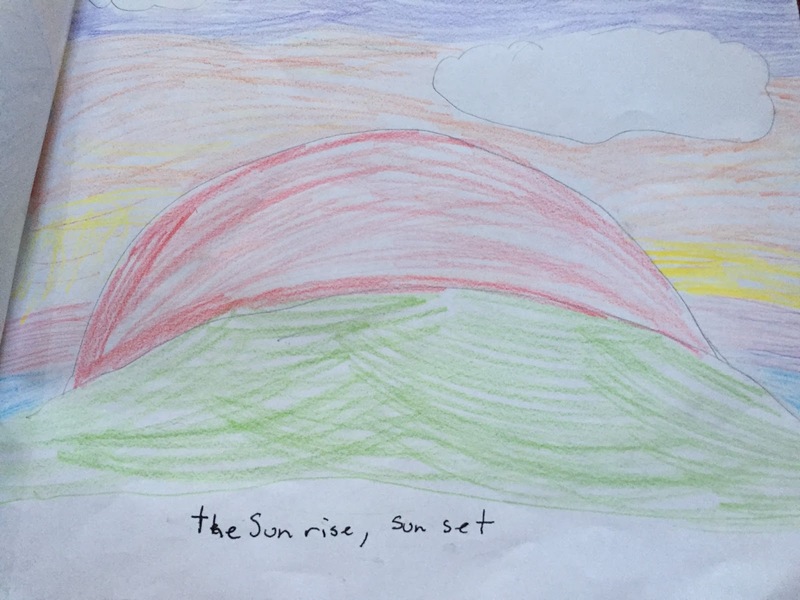 I shared book trailers this week, a child went home and created one himself. Books I've loved, they've never heard of. I told the story of sobbing over Jo Knowles See You at Harry's to my homeroom Friday afternoon as we all sat on the floor, melting. My two copies were checked out immediately. Three girls ran to the school library and the librarian went to the middle school and got three copies for them. I love watching the excitement unfold. This year I'm working on having the students reflect on their reading and writing on Fridays. How did they grow this week? What are their goals for next week. Sometimes they just write "I read/wrote more." But others? They are so insightful. "I wrote about hard things." "I finally found a book I liked." 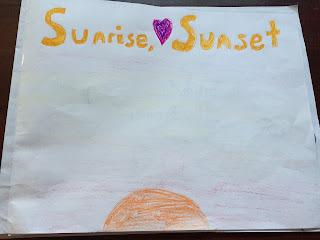 "When I was sad this week, I picked up my journal and wrote. I think that shows growth." It is a great way to end my week, reading these reflections. I share a lot about myself at the start of the year. I need to build connections as soon as possible. Sometimes I worry that I'm sharing too much. That kids are thinking, "Get to the point, Mrs. S." When I get a text like this, though, my heart melts. I know we are starting off strong. The connections and relationships that are built are important. This makes me think that this could be one of the great years. I cannot wait to see where it takes us.